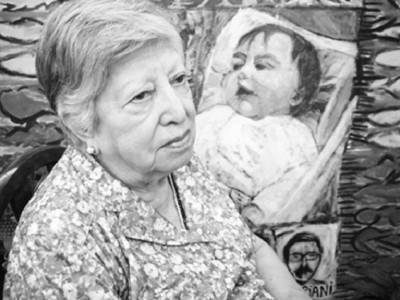 María Isabel “Chicha” Chorobik Mariani, the founder of Grandmothers of Plaza de Mayo, is eighty-nine years old. She knows that time is ticking and she needs to find her missing granddaughter, Clara Anahí Mariani Teruggi. This relentless lady who has lost her sight has devoted her days to that mission. At her home in La Plata, “Chicha,” as she is best known to human rights activists, talked to the Herald about her search, that made her believe that Marcela Noble, the daughter of the Clarín media group owner Ernestina Herrera de Noble adopted under strange circumstances, could be the girl she has been seeking for 36 years desperately. Mariani left the Grandmothers of Plaza de Mayo in 1989 and since then she has been heading the Anahí Association, whose main aim is to find the girl snatched in La Plata in 1976 when the military attacked the house where she and her parents lived. With her warm friendly voice, “Chicha” reviewed her struggle and recalled her relation with the Herald during the last dictatorship. “I have been there many times during the dictatorship. We used to go with Licha de la Cuadra and Juan Gelman’s wife to talk to Robert Cox and to ask him to publish our claims and I think the first time somebody understood what I was going through was at the Herald. Neither the priests nor anybody else, the journalist did,” she said. During the April floods in La Plata, Mariani’s house was inundated. Her files, carefully collected during decades, were damaged. She received help from volunteers but also from the government. “I have been asked to talk about this but I didn’t want to. What happened to me is nothing compared to the death toll,” she said. “When I find myself collecting the things scattered by the water, I think of myself when the death squad destroyed my house the same night when they killed my daughter-in-law. In his book Memory of Fire, Eduardo Galeano wrote about me and my house in ruins during the dictatorship. I always think I have to tell him that I remembered his description after the floods,” she said. How do you assess what the Kirchnerite administrations have done about human rights? I used to have great expectations when they took office. I hoped they would do many things — and they have. Human rights organizations have received support and even economic support. There has been a willingness to discuss human rights issues. However, people are still afraid. Yes, the most important thing is still pending: to find the disappeared people and children. What I say might be annoying for some people, but the Mothers and Grandmothers, have been the only ones to look for the missing ones. When has any government searched for my granddaughter? No government has done it, neither this one nor the previous ones. I was the president of Grandmothers of Plaza de Mayo for ages. Our struggle was difficult but in 36 years the state has not found a single one of our missing grandchildren. What should the government have done then? It would have been possible if they had acted courageously, opening the archives. For instance, documents appeared at (Jorge Rafael) Videla’s house when a raid was carried out more than thirty years after the coup. Why was it not ordered before? Maybe, due to fear. I am nearly 90 years old and time is running out for me and I think that the most important things have not been done: to open the archives and to make people understand the importance of breaking the silence. I acknowledge what the Kirchnerite administrations have done but there is a lot still pending. On August 12, it will be Clara Anahí’s birthday. Are you going to release the balloons as usual? Yes. I certainly do not know the details yet. I want to be there but I am not sure I can go through those emotions. In every balloon released, I write a short message and part of my soul goes with it. My hope is that someone finds the balloon and gives me some information. 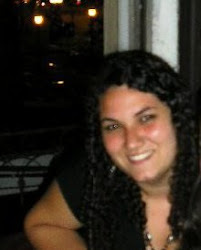 Many people know what happened to Clara Anahí but they have hidden the information. For years, they have only told lies: that she was killed, that my son was alive and had taken her to Spain. Horrible and painful lies. The worst thing was that many people believed in what (Ramón) Camps said but they did not trust me. But some years ago a former soldier said he saw when the baby girl was being taken from the house, didn’t he? Three years ago he said he was there when a man took the girl, alive, from the house after the attack. She was wrapped in a pink, green and white curtain. He did not say the name of the man who was carrying the baby but he said he was tall and with curly hair. Then that man gave the girl to a man I think was the head of the regiment. He said he was driving a Navy van, which was part of the Navy Infantry Battalion (BIM) III. The van was driven to the battalion and soldiers stayed there until it got dark. According to this soldier, they have never known why they had to stay there. I think it was because my granddaughter was taken there but I need evidence to prove it. What was your relation with the Church hierarchy during your search? The first thing the Mothers did was to go to the regiment or to the police station to see if we could gather information about our children, then we resorted to the Church with the hope of being helped but we were not. In my case, Monsignor (José María) Montes showed me the way out from the Cathedral and told me to stop bothering because Clara Anahí was being well cared for by the people who had her. When I visited Monsignor (Emilio) Gra-sselli, he told me he was going to do everything possible. When my husband came back from Europe, we went together to see him and he, very annoyed, told us that we should have gone earlier, that nothing could be done because very powerful people had my granddaughter. More than 20 years after, he was called to appear in court and the judge asked him if he still had the file we all knew. He had everything except the card referring to Clara Anahí. Did Pope Francis raise any expectations in you? The Church’s response distanced me from it. I cannot expect anything from the Church. Nothing. I cannot utter a favourable opinion of Bergoglio. I don’t know him but if he had wanted, he could have done something before. Licha de la Cuadra used to have a close relationship with him. One of the first things I learnt when I met her was that. We have been to the Vatican seventeen times. I wonder why the Church was not asked to open its archives, they must have lots of information regarding our missing grandchildren. You left Grandmothers of Plaza de Mayo when it was starting to become more politicized. What is your opinion of the association now? I am fully retired. I wanted to leave without being a nuisance to what I created. I brought it to life so I could not destroy Grandmothers due to my anger or my sadness, so I won’t give an opinion. Of course, when I was part of it, one of our standards was not to enter the political world because we used to have different points of view. We didn’t use to talk about politics because we didn’t have time for that. Why did you think Marcela Noble was your granddaughter? The first person who told me to search in Clarín was (Guillermo Patricio) Kelly, but I didn’t believe him because he had lied many times. I don’t know why he said that but I started to investigate and some things matched with what the priests had told me. After some suspicious manoeuvres, I started thinking Marcela could be my granddaughter. Changes and lies we have been facing. The last analysis which was carried out and took all day long was particularly suspicious. Marcela and Felipe Noble had already said that if it was a quick test, they would do it. Marcela had been abroad. They said that they would agree to do the analyses if they didn’t have to leave their fingerprints. That day they asked the experts if they agreed and they said yes but I still think it was suspicious. Was there an identity fraud? For me, there was something weird. The girl went to have the analyses performed wearing the same clothes she had already used but she was much slimmer. Maybe it is nonsense, but I have doubts. Why would they agree to have all the tests done except for the fingerprints? Because when they take the fingerprints, they also take DNA. Do you agree with the transfer of the National Genetic Database to the Science Ministry? No. We created the genetic database with a great effort. For example, if something happens while they are carrying the samples from one place to another, we would lose what we have been collecting for years. What do you think of César Milani’s appointment as the head of the Army? If he was involved in the genocide, he cannot hold that position. When the river runs, it brings something. What did he do in Tucumán province during the dictatorship? No military was out of the repression, they wanted all to cover their hands with blood. He was young during the military regime but I have known many young perpetrators.